The popular Pampeano Jugadoro Polo Belt boasts beautiful navy and cream threads, hand stitched onto rich havana brown Argentinian leather. This stylish unisex belt is finished with a tough antique brass effect buckle and the Pampeano logo embossed into leather. The Jugadoro belt is a popular choice with a very on trend, stately design featuring nautical colour-blocking. Each pampa design is made up of individual waxed threads that have been precisely hand stitched one by one by skilled artisans. 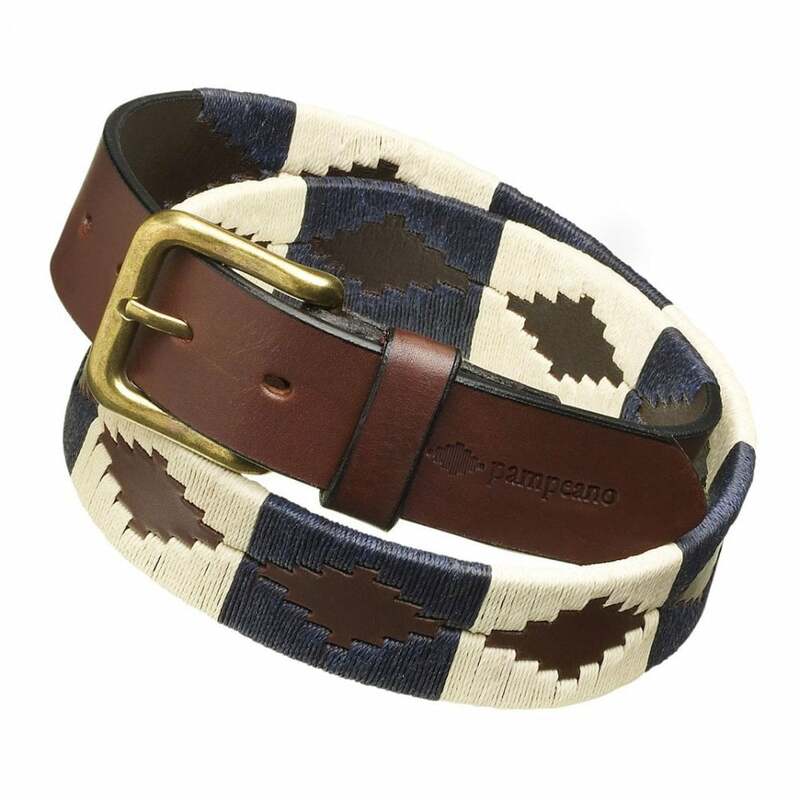 All Pampeano polo belts remain true to their roots with pampa patterns that echo the Andes Mountains and colours that represent the countryside of Argentina.